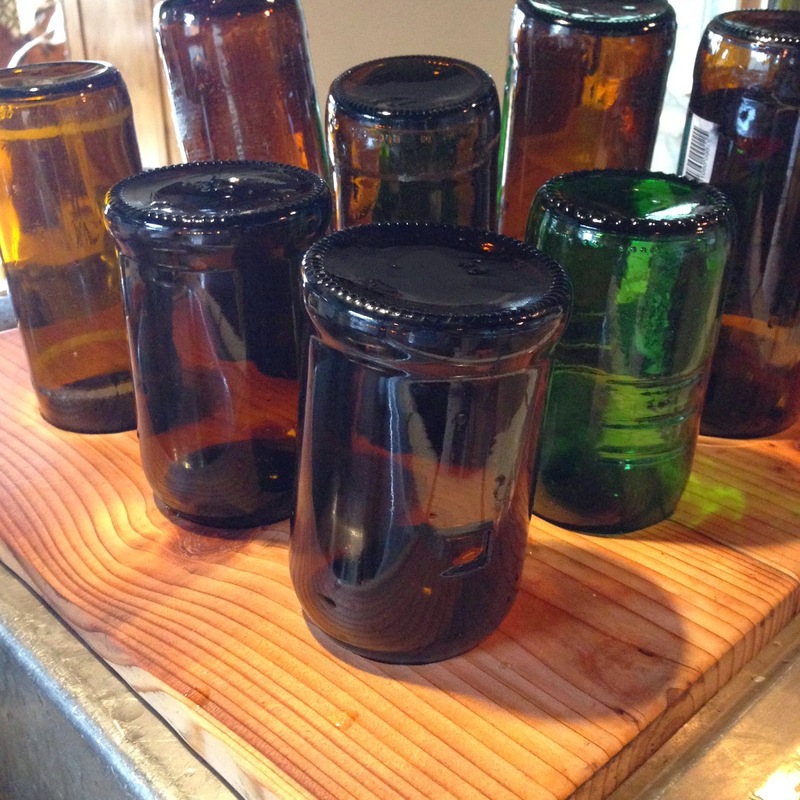 Homebrewers are all familiar with the accumulation of beer bottles on the kitchen counters. The bottles can't be thoroughly cleaned in a dishwater due to the beer sediment, and therefore they pile up until they reach critical mass (i.e. someone gets fed up and starts complaining). Our excuse for letting the bottles pile up is that we didn't have a good place to dry them. I hate counter clutter and we have limited counter space, so anything that needs to be hand washed is dried and put away immediately - we don't have a countertop drainboard. It's hard to dry a bottle immediately unless you want to shove a small rag into it or use a hair dryer. 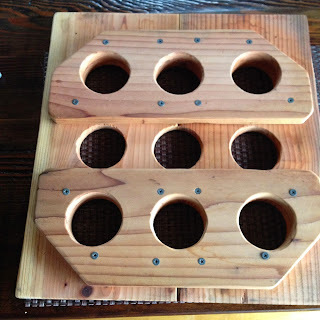 The boy wanted to weld a bottle rack, but again, it would pig up some room on the counter and it would drain on the counter. 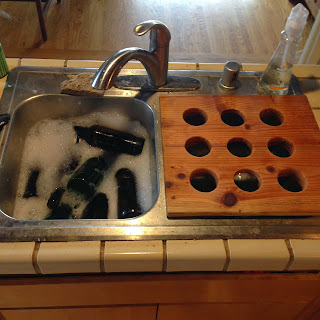 We compromised on a simpler solution: a drain board that straddles the sink and holds the bottles upside down. He found some wood scrap, drilled some holes, and problem solved! The rack works well for wine bottles, too. We save those as well because we have a friend who grows grapes and makes way more wine than he can possibly drink, an excellent quality in a friend.